Opia is both a video installation and a live dance performance. Be ushered between Dance Complex’s beautiful new Studio 7 into the Julie Ince Thompson Theatre upstairs. 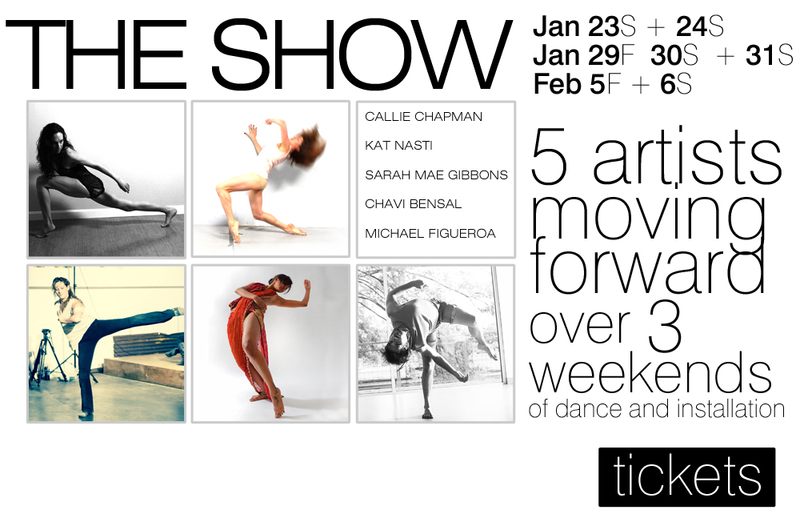 Along with 4 other fellow CATALYSTS (Michael Figueroa, Chavi Bansal, Kat Nasti, and Sarah Mae Gibbons), 2 guest artists (Emily Beattie + Anna Reyes), and guest speakers (this weekend joining us will be Jill Johnson – Director of Dance at Harvard) be sure not to miss the last weekend of this collective show. 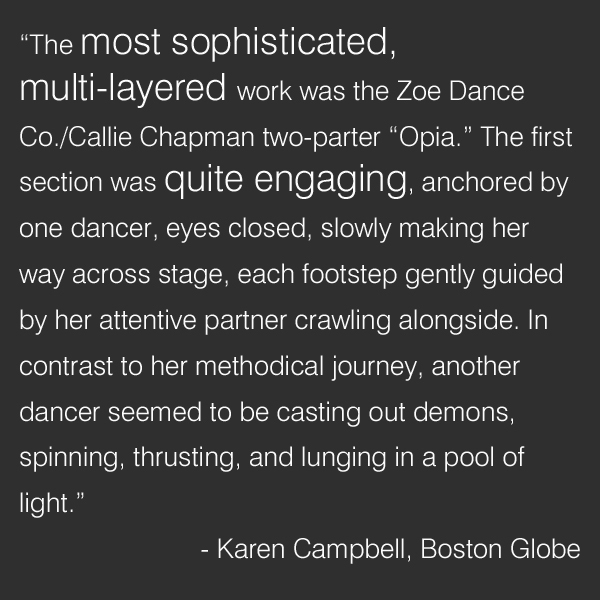 This entry was posted in Performances by calliechapman. Bookmark the permalink.